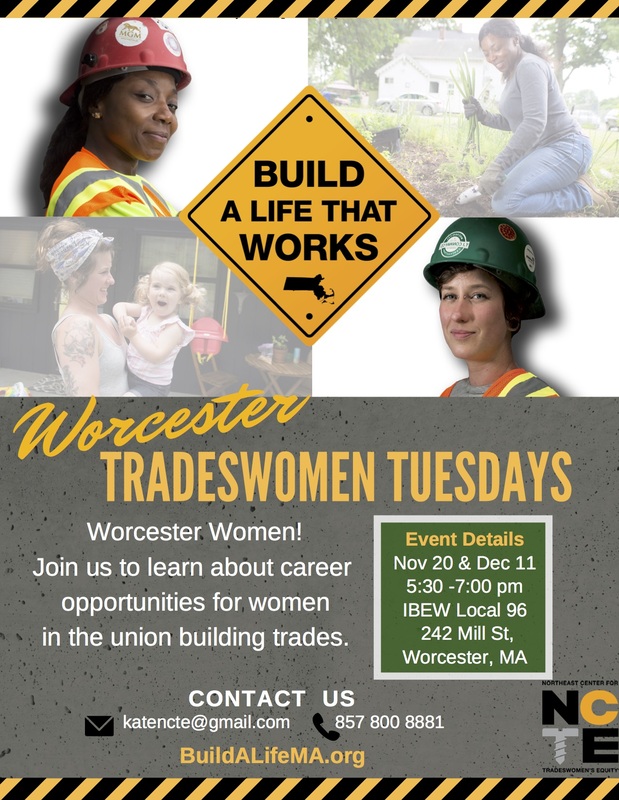 An event for Worcester Women interested in construction careers. Learn about the benefits that come with career and the building trades. Meet women working in various trades and get insider tips on how to become a tradeswoman. Plus, learn more about Building Pathways Worcester, a free pre-apprenticeship training program that is accepting applications NOW!